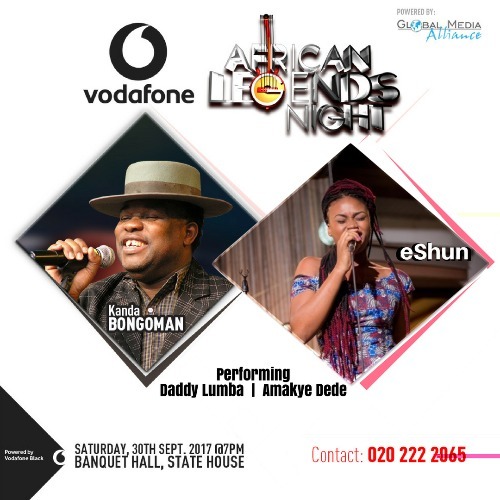 Silky voiced Ghanaian musician eShun has been billed to perform at the 6th edition of the African legends Night headlined by Congolese music legend Kanda Bongo Man coming September 30th in Accra by Global Media Alliance, the organizers of the event. This year’s edition of the music show will take place at the Banquet Hall State House in Accra with music legends like Daddy Lumba, Amakye Dede and others. Performing on major platforms with legends has been eShun’s Hallmark since her arrival on the music scene. The talented young lady has not faced any roadblocks in establishing a strong image in the Ghanaian music industry. She has calved a niche for herself making her a recognized Brand to be associated with music legends in Africa. eShun is set to thrill the audience with her soothing voice and classic songs like: Meye, Simple as ABC and others coming this Saturday with Ackah Blay’s band. 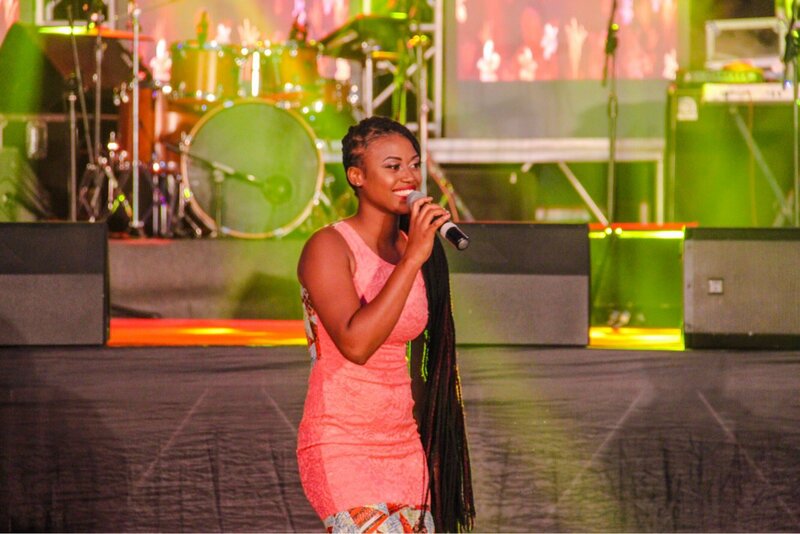 eShun is expected to perform one of the Late Papa Yankson songs in memorable of the late African Music Legend. Kanda Bongo Man is expected to mount the stage of African Legends Night alongside other Ghanaian music legends to thrill audience to some of his popular songs from his celebrated albums of Kwassa Kwassa, Amour Fou among others. Last year, the show witnessed great performances from Yvonne Chaka Chaka who collaborated with her ‘daughters’ Becca, Wiyaala and eShun on stage and was spiced up by the robotic Akosua Agyapong, the Kpanlogo man Amandzeba Nat Brew and the smooth taker Nana Tuffuor. Over the years, African Legends Night has celebrated musical icons. Notable performers include South Africa’s legend and first headliner Hugh Masekela, Femi Kuti, Freddy Meiway, Gyedu Blay Ambulley, Amakye Dede, Ghanaian ace Saxophonist Steve Bedi, Ben Brako as well as a blend of artistes across Africa.